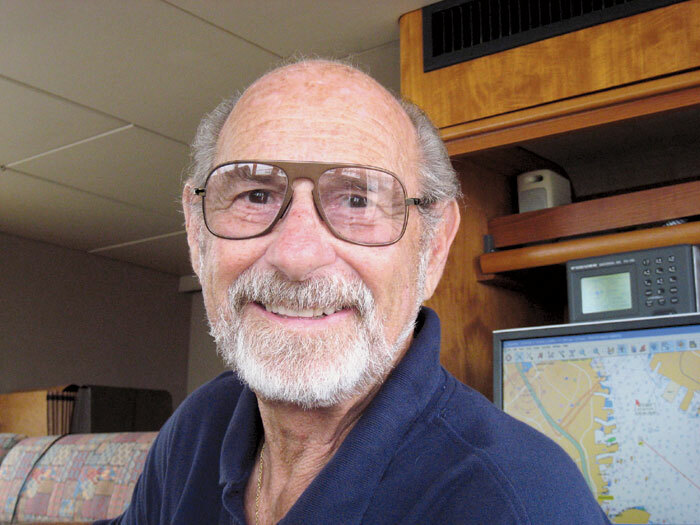 MARINA DEL REY — Circumnavigator and filmaker Bruce Kessler of Del Rey Yacht Club is organizing a new powerboat rally in the style of the biennial FUBAR (Fleet Under Way to Baja Rally) events — this time to Cuba. Kessler, who is administrative chairman of the FUBAR Odyssey, said the new Cuba rally will probably take place in Spring 2013, but it’s still in the planning stage. After meeting with U.S. government officials in Washington, D.C, Kessler said the FUBAR Odyssey organizers will be sending out a “sample” itinerary and entry form this month, for those who are seriously interested in participating in this inaugural event during April and May 2013. More than 100 boaters have so far expressed interest in joining the rally, Kessler said. The Cuba cruise will be open to U.S.-flagged powerboats capable of traveling a minimum range of 600 miles at a speed of 8 knots. Plans are still tentative, but participating power boats will probably gather in Florida, and then head south in a group to clear into Cuba at Marina Hemingway near Havana, 90 miles south of Key West. After nautical events at Hemingway International Yacht Club, the rally group members could cruise all or parts of the tropical island nation. The Cuban government welcomes tourists, and the Cuban people are very welcoming to visiting Americans, Kessler said. U.S. citizens and groups must apply for and attain a special license from the U.S. State Department before traveling to Cuba — which the FUBAR organizers are currently working to arrange in Washington, D.C.
Kessler said the FUBAR staff will attain all the required U.S. Customs licenses and the Cuban cruising permits for each participating vessel and crewmember well in advance — “hopefully in late 2012 or early 2013,” he explained. By visiting fubarodyssey.com, boaters can express their interest in participating and get on the email list to receive information updates — including the sample cruise itinerary and entry form. Click on “Cuba Rally and Blog” to learn more. Donna Wilson-Palmer, chief of staff for the FUBAR Odyssey, said that a press time, 105 boaters had already expressed interest and signed up for the updates. Wilson-Palmer said the sample itinerary and entry forms will give boaters an idea of the requirements, and give the planners a better idea of how many boaters are serious about participating. Kessler said they hope to be able to give special consideration to those who are supporting the Cuba cruise in the early stages of planning and preparation. “This is all contingent on receiving the necessary approval from the U.S. government, which we hope will come in late 2012 or early 2013,” Kessler said. Club Nautico International at Hemingway International Yacht Club will be the host organization in Cuba, Kessler said. It has 100 side-tie slips with power and water, 12-foot depths, a pumpout station, a fuel dock, a boatyard, restaurants, hotels and a chandlery, all within a gated compound. A dozen other boating facilities around the island range from 200-slip full-service marinas to mooring fields and anchorages with landing piers. Similar to the popular FUBAR Odyssey powerboat rallies from California to Baja California, Mexico in 2007, 2009 and 2011, this 2013 Cuba rally is designed to be a charity event to benefit Del Rey Youth Foundation, an approved 501-c (3) charity. Cuba’s booming tourism industry comes mostly from European and Mexican visitors. The island nation has an annual calendar of sportfishing and marlin tournaments, along with international sailing regattas. Previous FUBAR rallies to Mexico carried with them a diesel mechanic, a medical doctor, a translator, a meteorologist, press representatives and local liaison personnel. At the July 27 meeting in Washington, D.C., John Wooldridge, editor of Passage Maker magazine, said he and Kessler had met with foreign policy experts, State Department officials and senior foreign policy aides from the staffs of several senators and congressional representatives. They also met with the Latin American Working Group, headed by Mavis Anderson and led by Jeffrey Boutwell, organizer of three workshops in Cuba for the Pugwash Conferences on Science and World Affairs. Meanwhile, Newport Harbor Yacht Club in Newport Beach will host next year’s FUBAR rally to La Paz, Baja California, in Fall 2013.